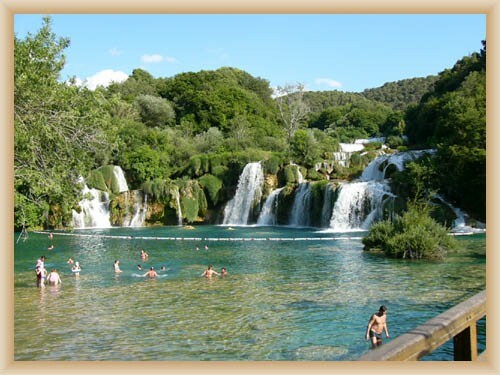 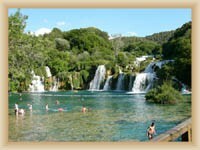 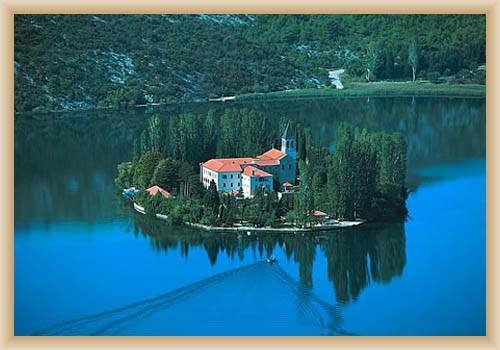 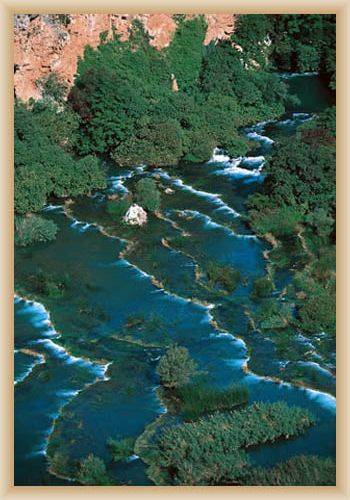 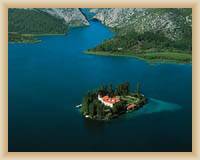 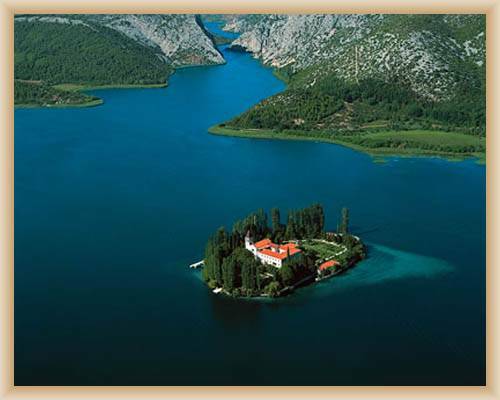 National Park Krka has a lot of lakes and fountains and is one of the most important natural monuments in Croatia. 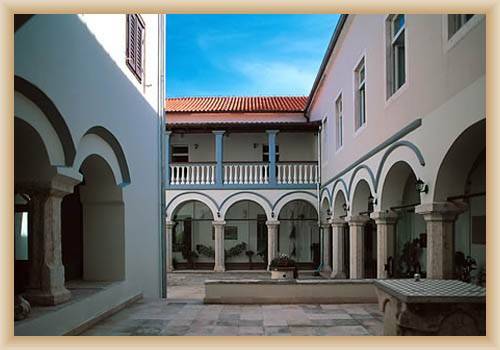 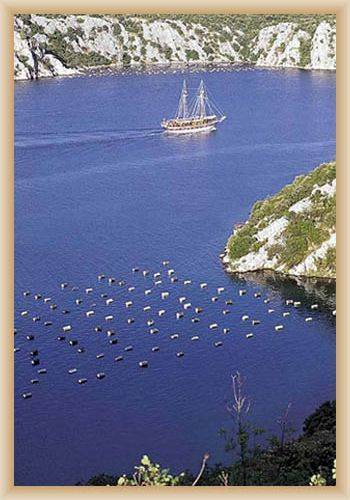 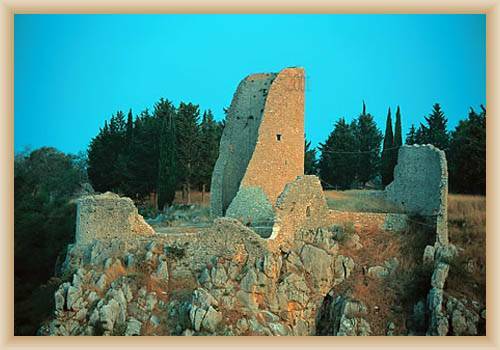 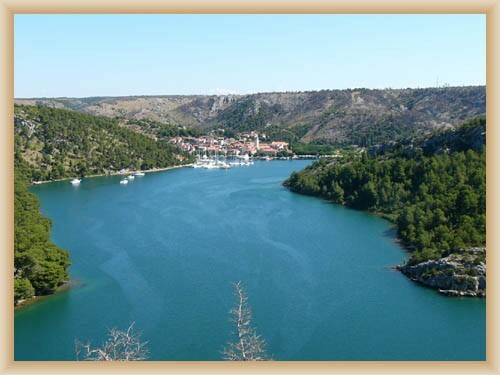 Government of park is in Skradin. 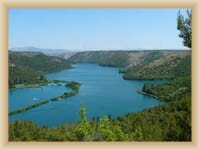 The river comes up from couples of affluent, which are connecting in the town Knin. 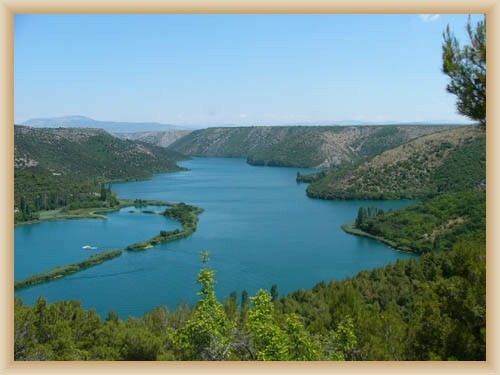 It is run through dry karstic are. 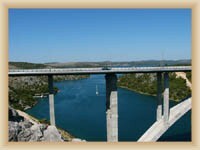 Its canyon and karistic barriers did amazing scenery. Krka has a lot of small and big waterfalls. Waterfalls Bilusic is 20m high and is located 9 km from Knin.Around are other waterfalls: Brijan (15m), Manojlovac (52m) and Roski slap (25m). 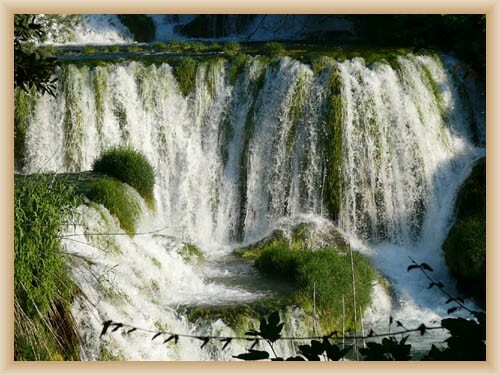 The biggest and most beautiful waterfall Skradinski buk was created on the junction of river Krka and Cikola. 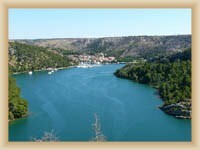 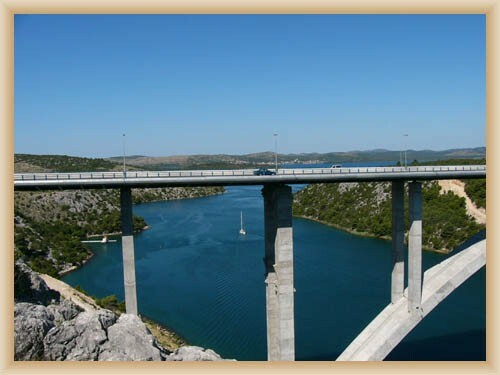 On the Krka River’s way create Lake Prkukljan, which has all attributes of sea including high tide and low tide. 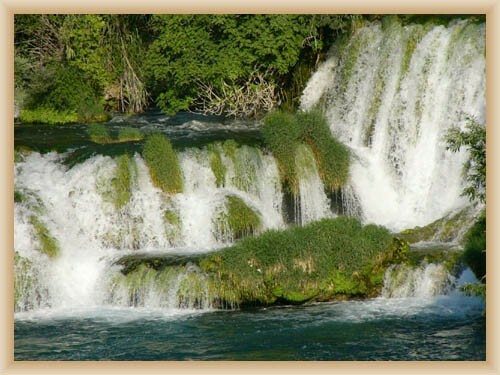 In the river live fresh water’s fishes and also sea fishes.